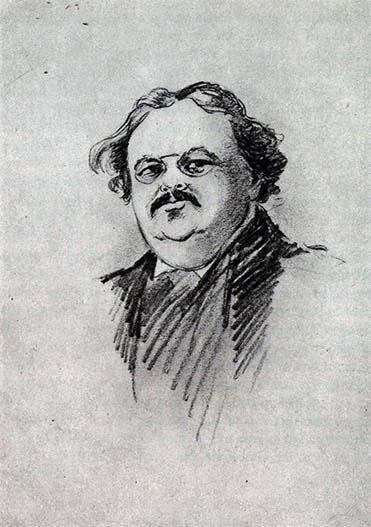 G. K. Chesterton, noted English Journalist, critic, and master of the detective story, discusses the principles, common fallicies and errors found in popular detective fiction. It is a well-known fact that people who have never succeeded in anything end by writing books about how to succeed; and I do not see why the principle should not be applied to success in the writing of detective tales as well as in lower and less glorious walks of life. Before offering any criticism in the matter of mystery stories, I think it only fair to confess that I have myself written some of the worst mystery stories in the world. But, if I have achieved the lowest results, I might very well claim to have had the loftiest motive, for I acted on the divine principle of the Golden Rule. I did unto others as I would they would do unto me. I provided them with more stories about crime, in the faint hope that they in turn might provide me with more stories about crime. I cast my mystery on the waters, so to speak, hoping it might return to me after many days, with a totally different title and a much better tale. In the detective novel the division of labour is sharply drawn between the reader and the novelist. Perhaps it may be pointedly answered that the heavier part of the labour falls on the reader. Perhaps it is true, especially in those melancholy examples to which I have darkly referred. But, anyhow, such a division does exist in the very nature of the detective story. If you write it, you cannot read it. If you want to read, it you must not be so ill-advised as to write it. It is obvious that I cannot be thunderstruck at the end with a revelation which I have planned from the very beginning; nor can I be bewildered and inquisitive about the concealment of something which I am myself labouring to conceal. I cannot myself stagger with astonishment on learning that the Bishop has been a brigand, if I have myself elaborately disguised the brigand as a Bishop. The poet can sing his song, but the sensational writer cannot be shocked at his shocker. Nevertheless, I am moved to dogmatise about detective stories, partly because I see everywhere the advertisements of the dramatic version of one of the best of detective stories, "The Yellow Room," and partly because I have just read again that excellent French story in its original form. I have not seen the play itself, but I hear it is a great success, though it by no means follows, from the nature of the problem, that a good mystery story will make a good play. Indeed, the two things in the abstract are almost antagonistic. The two methods of concealment are exactly contrary, for the drama depends on what was called the Greek irony – that is, on the knowledge of the audience, and not ignorance of the audience. In the detective story it is the hero (or villain) who knows, and the outsider who is deceived. In the drama it is the outsider (or spectator) who knows, and the hero who is deceived. The one keeps a secret from the actors, and the other from the audience. Nevertheless, the thing has been done successfully in one or two cases, and very probably in this case also. But the re-reading of the story itself, as well as of any amount of inferior stories of the same kind, has moved me to throw out some general suggestions about the true principles of this popular form of art. I do not mean to speak in any superior fashion of the inferior stories. I am very fond of trash; I have read a great deal of it – I have also written a great deal of it. But even in this department there is trash and trash; and we might be more easily amused if our idlest entertainers understood how to amuse us. And there are certain fallacies about the nature of the true mystery story which I perceive to be common among the writers as well as the readers of it. But I should like it to be understood that it is in the comparatively proud and honourable character of a reader of such stories, and not in the lower and more servile capacity of a writer of them, that I venture to indicate such errors. First of all, there is evidently a very general idea that the object of the detective novelist is to baffle the reader. Now, nothing is easier than baffling the reader, in the sense of disappointing the reader. There are many successful and widely advertised stories of which the principle simply consists in thwarting information by means of incident. The Bulgarian governess is just about to mention her real reason for concealing herself with a loaded rifle inside the grand piano, when a yellow Chinaman leaps through the window and cuts off her head with a yataghan; [A yataghan is a Turkish scimitar with a double curved blade.] and this trivial interruption is allowed to defer the elucidation of the whole story. Now, it is quite a simple matter to fill several volumes with adventures of this thrilling kind, without permitting the reader to advance a step in the direction of discovery. This is illegitimate, on the fundamental principles of this form of fiction. It is not merely that it is not artistic, or that it is not logical. It is that it is not really exciting. People cannot be excited except about something; and at this stage of ignorance the reader has nothing to be excited about. People are thrilled by knowing something, and on this principle they know nothing. The true object of an intelligent detective story is not to baffle the reader, but to enlighten the reader; but to enlighten him in such a manner that each successive portion of the truth comes as a surprise. In this, as in much nobler types of mystery, the object of the true mystic is not merely to mystify, but to illuminate. The object is not darkness, but light; but light in the form of lightning. Then there is the common error of making all the human characters sticks, or stock figures – not so much because the novelist is not intelligent enough to describe real characters as because he really thinks real characterization wasted on an unreal type of literature. In other words, he does the one thing which is destructive in every department of existence – he despises the work he is doing. But the method is fatal to his mechanical object, even considered as a mechanical object. We cannot even be adequately thrilled by a whole secret society of assassins who have sworn to effect the death of a bore who is obviously better dead. And even in order that the novelist should kill people, it is first necessary that he should make them live. As a matter of fact, we may very well add the general principle that the most intense interest of a good mystery story does not consist in incident at all. The Sherlock Holmes stories are very good working models of a workmanlike type of popular mystery. And the point of such a story is very seldom the story at all. The best part of it is the comedy of the conversations between Holmes and Watson; and that for the sound psychological reason that they are characters always, even when they are not actors at all. But if I venture on this rebuke to the popular novelist, I must balance it by a similar and yet more solemn rebuke to the psychological novelist. The sensational story-teller does indeed create uninteresting characters, and then try to make them interesting by killing them. But the intellectual novelist yet more sadly wastes his talents, for he creates interesting characters, and then does not kill them. What I complain of in the advanced and analytical artist in fiction is that he describes some subtle character, full of modern moods and doubts; that he expends all his imagination on realising every fine shade of the sentiment and philosophy of the sceptic or the free lover. And then, when the hero in question is at last alive and ready to be murdered, when he is in every detail of his character demanding and requiring, and, as it were, crying aloud to be murdered, the novelist does not murder him after all. This is a serious waste of a fine opportunity, and I hope in future to see the error rectified.